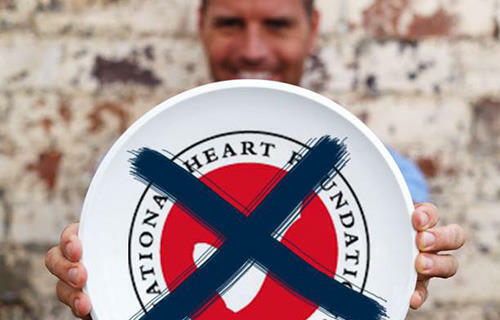 The National Heart Foundation – is it time to give the tick the flick? Although generally viewed as a trustworthy and reliable source of health and nutrition support for Australians, the National Heart Foundation has recently come under scrutiny due to controversy surrounding its iconic Tick Program. If you’re aware of the recent uproar, you’ll probably agree that the popular view of the Tick Program has shifted from instinctive trust to suspicion and outrage, with many regarding the program as nothing more than a money maker in support of processed foods. The Heart Foundation Tick Program was rolled out in 1989, 25 years ago – before I was even born! Its purpose? To help everyday Australians make healthier food choices, by endorsing foods with lower levels of saturated fat and sodium, and/or higher levels of fibre. The Tick has also been as a driver of change in the food industry. Campbell’s soups, for instance, have steadily reduced their sodium content so that today over 80% of their products meet the Heart Foundation’s criteria – up from 33% in 2004. But while their intentions are good, even the Heart Foundation themselves agree it’s time for an update, and a large scale review of the Tick Program is currently underway to coincide with their quarter-century milestone. As Kara Landau (The Travelling Dietitian) points out, this review has been a long time coming and was in the making long before the latest spate of accusations from celeb-chef-turned-health-coach Pete Evans. • The Tick Criteria – The tick criteria (found here) are outdated in that rather than focusing on actual foods, they’re based on a few select nutrients. There’s no doubt that the Heart Foundation have reduced the amount of trans and saturated fat and sodium in the food supply, and the public have benefitted from this; but other factors, such as the amount of sugar and refined carbohydrates, have been neglected by the current criteria. • The fact that it comes at a cost – The tick is awarded to a food product once it satisfies the set criteria, but it’s not free. The Heart Foundation explains that this cost (which is supposedly based on estimated sales and the company’s size; i.e. large companies will expect to pay more than a smaller company) goes on to fund other projects and programs run by the Foundation. Although this sounds fair enough, Associate Professor Tim Crowe makes a good point in saying that any public health initiative should be free, and with over 2000 products carrying the Tick, there is a lot of profit to be made from the label. • The tick does not discriminate – A number of less-than-ideal food choices carry the Tick – hot chips, ice creams, frozen meals, refined cereals and meat pies, to name a few. But the real nail in the coffin for the cynics out there was the choice to award the Tick to selected McDonalds meals. A move that generated millions of dollars of profit to the Heart Foundation arguably generated irreparable mistrust within the public – a health initiative supporting one of the world’s biggest fast food chains? Really? To be fair, it’s not an entirely self-serving agenda – the Heart Foundation argues that it is trying to encourage fast food consumers to make healthier choices and give fast food corporations incentive to produce healthier menus. But much of this value is lost as the Tick does little to explain the idea of ‘occasional foods’ or ‘portion sizes’ – at the end of the day, all consumers are really seeing is a big red tick of approval on their meat pie. So now, we wait for the outcome of the Tick Program’s review. In the meantime, a step up from the Tick could be the Healthy Star Rating system, reminiscent of the system used to rate the energy or water efficiency of household appliances. 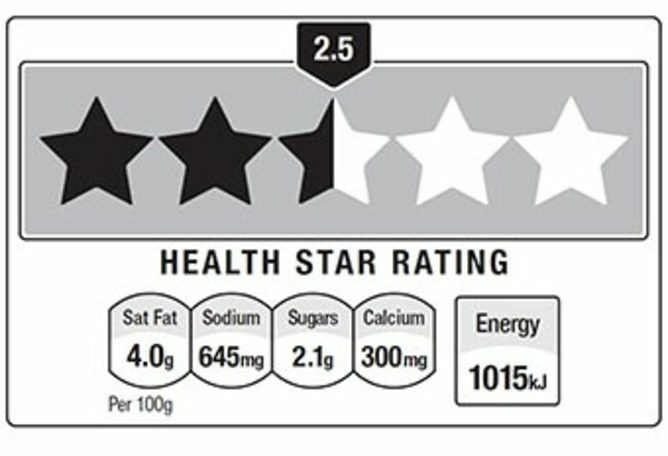 This system calculates a ‘star rating’ out of 5, based on levels of nutrients per 100g (rather than serving size, which can be ambiguous and misleading), taking into account energy, protein, saturated fat, sodium, sugar, fibre, fruit, vegetables, nuts and legumes, and for some products calcium. The system is voluntary, and comes at no cost to food manufacturers. Like the Tick, it can be used as an incentive to better the nutritive value of foods on the market, and appears to be a more thorough judgement of a food’s quality. The Healthy Star Rating system… a better choice than the tick? 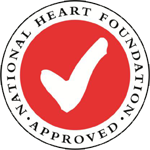 No rating system is perfect, but through their efforts to improve consumer’s food choices, it seems the poor old Heart Foundation Tick has lost significant credibility. Nonetheless am very glad that the Heart Foundation are reviewing and making necessary changes to the Tick Program in the near future… Although the Heart Foundation didn’t need a chef to tell them that as they were already looking into the changes!